Bike Attack Electric+ in Santa Monica offers ZERO Interest Financing through Synchrony Bank (formerly GE Capital). You would like to buy a new electric bicycle but prefer Financing? You can now apply for the Freedom To Ride financing credit card from Synchrony Bank and receive a decision in no time. You can ride your new ebike today. Apply from your home computer.  If you are approved, print out your account # and credit limit, then bring that into Bike Attack Electric on Main Street in Santa Monica to buy the perfect electric bike! You can also come to Bike Attack Electric and we can submit the application for you. Whatever you prefer.